Indonensian born Gato Susilo has always been curious about computers, technology, electronic music and science. Through the early 2000’s, working on cruise ships gave him the opportunity to travel to places like the UK, Russia, Japan, Los Angeles, Miami, New York, Norway and Antartica - exploring and garnering inspiration from the party scenes across the world. 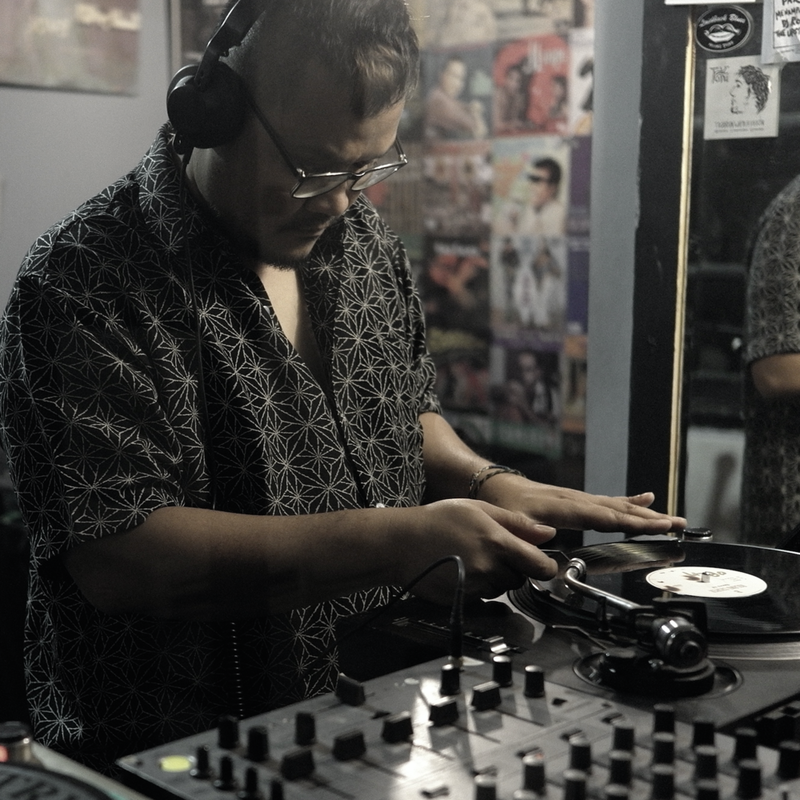 Once Gato had explored how to make electronic music by hardware, he started with a Roland mc-303 groovebox, began DJing and experimenting with new hardware. Finding some rare drum machines, samplers and equipment enabled him to be more creative and eventually to start producing. Around early 2000, Latex started making his own tracks recorded onto tape, and was also learning the process of how a track is constructed by doing live set versions. 2003 was a great year for Latex to see Sonar Festival, Barcelona for the first time, witnessing bigger artists performing, furthering his enthusiasm in production. In 2008 Latex ran a Soundsystem and animation installation for an unauthorised underground party in Jogja, Indonesia - and in 2009 started a studio in Yogyakarta. In 2017 Latex and his crew birthed Bombshell Radio, a 24 hour streaming vinyl-only radio station based in Jakarta - where he began making electronic music with Maiky Monolog, Theoo Radenata and began to study analog sound engineering, before starting his software project Latex Synth to create a software VSTi synthesisers and distribute it as freeware. Latex’s music is about the exploration of analog 90’s synth, Groovebox RAW sound, heavy bass, repetitive rhythm and eclectic structure, about the interaction between analog hardware, drum machines and chopped-up samples. During the past few years Latex has had marathon sets for hours at a time at venues such as : KOH-Bali, Safehouse Jakarta, Red Ruby, ETV, Embassy - as well as countless underground raves, block parties and art events. Every single one of the hundreds of sounds in his live set are synthesised from scratch, and Gato is so intent on originality that he even Shazams his own productions to make sure they don't register as anything else. Latex is a true artist in every sense of the word.